Since the 2004 official debut of TVXQ, through seven years of hard work, they finally stand at the peak of Asian music. But just right when they have countless fans’ support, rumours arise of disbandment and contract problems. Today Haibao Net will bring everyone and look back at TVXQ’s growth from their debut. No matter if TVXQ disbands or stays together, Cassiopeia who has believed faithfully in them would not let them go. Three members of TVXQ, Kim Jaejoong, Park Yoochun and Kim Junsu have sued SME near the end of 2009 for a suspension of their exclusive contract, leading to a pause in TVXQ’s activities in Korea. Months later, on the 3rd of April, a message on their Japanese homepage wrote “from today onwards, Tohoshinki will be on hiatus”. This piece of information basically reports TVXQ’s disbandment, and this is something that neither Korean or other fans want to see, but the three and SME have something in between them that can’t be ignored, and with SME holding the rights for the band name, for ‘TVXQ’ to restart could practically be zero. After that notice, everyone was alert on what the five would do. On the 14th of April, Avex announced that TVXQ’s three members, Kim Jaejoong, Park Yoochun and Kim Junsu made a new contract with them, and would form a new unit to begin activities in Japan. Jaejoong has also participated in the 2010 Spring drama “Sunao ni Narenakute”, acting along with Eita and Ueno Juri. From 1999 till 2003, they together had prepared for five years for the debut of TVXQ. 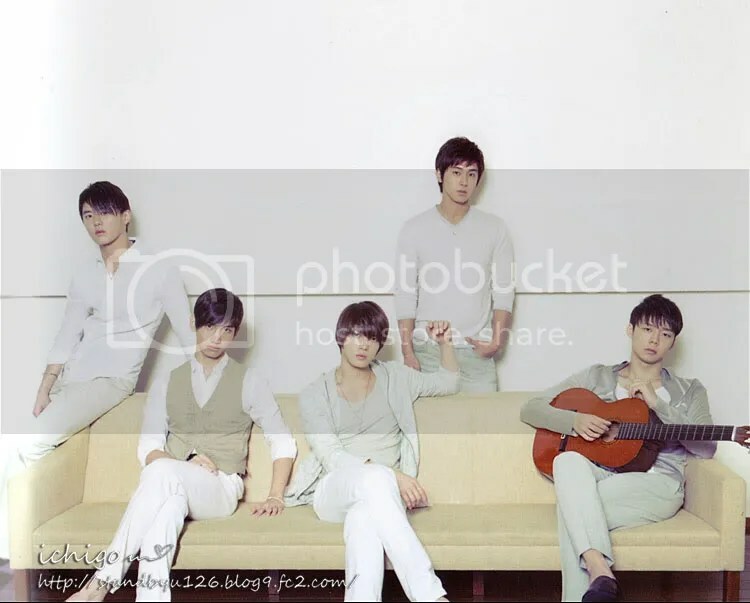 In 2004, TVXQ’s single “Hug” acted as their official debut, and within a short span of time, they used their unique charms and SME’s huge backup to make TVXQ into Asia’s top idol boyband. TVXQ was brought up by SME who had also produced popular groups like H.O.T and S.E.S, and using that knowledge, they trained up a top boyband, and took up the praise of “perfect idols”. In 2005, TVXQ debuted in Japan with the single “Stay With Me Tonight”, and till now they have released a total of 30 singles and 4 albums. Under present market conditions, up till the end of March, TVXQ’s gross total of record sales surpasses 5,130,000. At the same time these figures made are the best for a foreign artist in Japan. This entry was posted in DTL News Preview and tagged TVXQ. Bookmark the permalink.